Exhibiting good posture pleases the eyes and speaks volumes about a person’s attention to detail. Good posture stands out so dominantly today because of the rarity with which people concern themselves with this important aspect of total body health. Increased amounts of time on phones and computers for males and females of all ages play a huge role in the poor posture epidemic. Scores of mothers and grandmothers collectively cringe at the visual landscape of poor posture roaming through society. Family matriarchs often demand better posture due to the poor appearance of slouching and hunching but the true effects of poor posture impact overall health and well-being more than appearances. One study determined that people who sat four or more hours a day were more likely to develop heart disease, diabetes, or other chronic diseases than people who sat less than four hours a day. Another study concluded that slumped forward shoulder posture specifically associates with an increased rate of death due to atherosclerosis. Atherosclerosis impacts the arteries characterized by the deposit of plaques on the inner walls of the vessels. These important findings illuminate the value of good posture habits and measures. The threat of a back or neck pain problem represents only a portion of the health risks involved with bad posture. The majority of negative health outcomes associated with poor posture involve internal issues related to organs and systems, such as increased death rates due to atherosclerosis. Everyone functions better with optimal posture yet most people experience a deterioration of good posture at varying degrees. The majority of people only focus on posture as it pertains to cosmetics and appearances, unaware of the negatively influence impacting organ function. Regular Chiropractic adjustments help change the spine and posture as it relates to function, and better education serves to share the postural benefits Chiropractic care offers every member of the family. 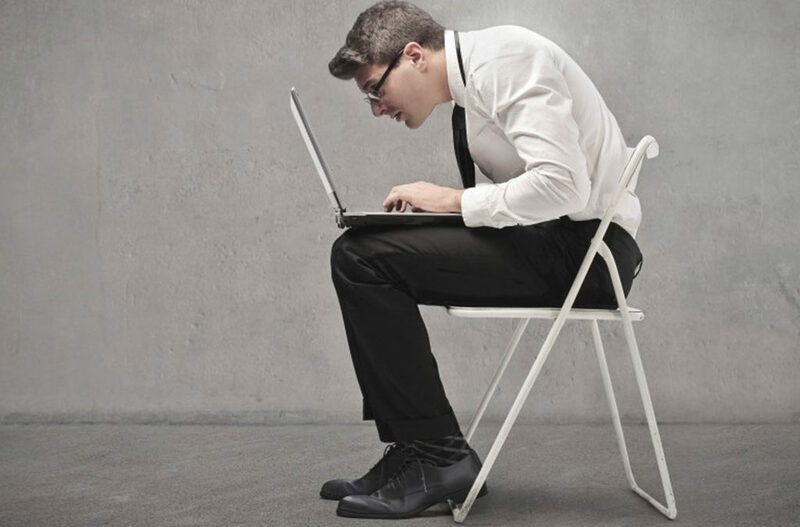 1) Make simple changes to the home or work station which ensures good posture and spinal support when sitting in front of a computer. J Am Geriatr Soc. 2004 Oct;52(10):1662-7. Hyperkyphotic posture predicts mortality in older community-dwelling men and women: a prospective study.Kado DM1, Huang MH, Karlamangla AS, Barrett-Connor E, Greendale GA.